Sometime this year Felix Baumgartner will make a skydive, or spacedive as it should be called from the edge of space and land back on earth. The first and obvious question is why. Why would someone risk their life jumping from 120,000 feet? 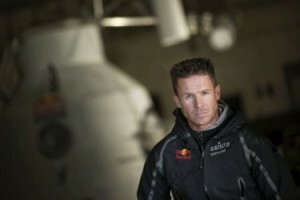 Modestly, Mr. Baumgartner will says that he “likes a challenge”. From a scientific perspective, the custom made spacesuit will help future space traveler and future space tourists. To complete this jump successfully, the the spacesuit has special pressure release valves that will keep the fluids in the body from boiling as Felix free falls at 700 miles per hour. There are many questions that can only be tested by doing the jump. One of the biggest questions is can the human body survive falling a supersonic speeds? On the day of the worlds first spacedive, the world will be able to watch the jump live thanks to a specially designed camera system that will document the mission from near space, on the ground and from Felix’ perspective. There will also be a 90 minute documentary produced after the jump. The jump will depart from the famed city of Roswell New Mexico. Felix will ascend to more than 120,000 feet in a pressurized capsule attached to a high-altitude helium balloon. He will then exit the capsule and jump wearing his spacesuit an and helmet. On August 16, 1960, USAF test pilot Joe Kittinger opened the door for space exploration when he made a parachute jump from 102,800 feet above sea level as part of the “Excelsior” program. Joe set four records. 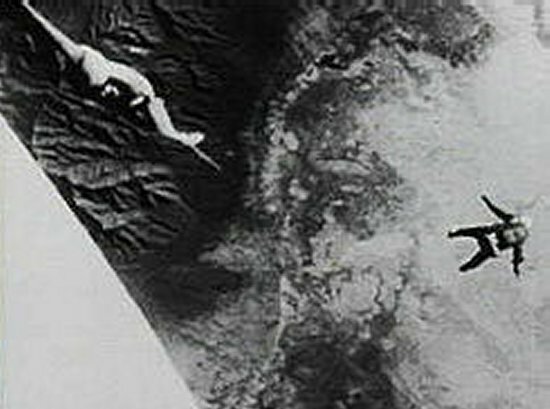 His remarkable effort proved that full-pressure suits could protect humans in the harsh environment of the stratosphere. Manned flights for the Mercury space program were initiated soon after, and Joe’s achievement directly influenced the 1969 mission to the moon.